Infiniti Cord-Keeper by Conair Tourmaline Ceramic Ionic Styler , Avi Depot=Much More Value For Your Money! 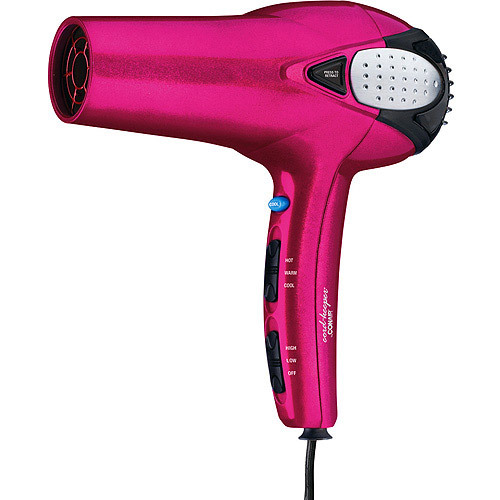 The Conair Infiniti Ceramic Hair Dryer makes hair drying and styling fast and easy. If you blow out your hair every day, you can be left with dull, lifeless ends. The Conair Infiniti Hair Dryer features tourmaline ceramic technology that infuses hair with negative ions to reduce static electricity and pesky fly-a-ways. Plus, the infrared heat protects the natural luster of your hair, so the Conair Hair Dryer is safe to use every day. Since this hair dryer is designed with a retractable, single-push cord system, you dont have to worry about wrapping up the cord after each use. With three heat settings and two-speeds, the Conair Infiniti Ceramic Hair Dryer can be used safely on any hair type.